Home > Health > Dietary Supplements: Do You Need Vitamins, Minerals and Other Supplements? Dietary Supplements: Good For Your Health? Are dietary supplements part of your health boosting choices? A healthy, balanced diet will cover your needs for vitamins, minerals, amino acids and Omega 3 but, there are times when you do need a supplement. We look at when supplements are a good idea, and how you can cover your health related needs in everyday life. The GOODista also reviews which supplements you need to be careful with, as some can do more harm than good when self prescribed. The wellness market attracts many, and supplements is part of many health junkies must-have daily fix. Are you doing it right? Supplements: Pill Popping or Health Boosting? Supplements are an addition to the diet, but should not substitute food. Popping pills because it is supposed to be good for you can often lead to involuntary imbalances. A healthy, balanced diet will give you plenty of the vitamins and minerals that the body needs. Nutritional elements contained in wholesome food are what the cells of your body must have for optimal health and vitality. 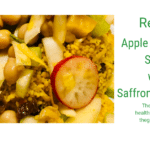 Therefore – if you live in a country / area where you have access to the full array of natural, healthy foods you can make health conscious choices to eat a balanced diet. Ask yourself if you really need vitamins, minerals and other supplements – or is it better with ‘just’ food for optimum health. When you are in travel mode where well-researched supplements can be an aid. During periods of temporary stress you can get natural help in the form of herbs and botanicals. Read on to find out which dietary supplements you can take for those peak times in your life, and which ones you need to be careful with. Dietary supplements are widely used for a variety of health related reasons. We suggest that taking them routinely without knowing what you are actually adding to your system is not healthy. Food consists of the nutritional parts and compounds essential for human health and life. Fats, carbohydrates, proteins, water, vitamins, and minerals are among the key elements and form the basic nutrients your body must have to thrive. It is however inaccurate to assume that just because a nutrient is essential it is unconditionally safe or beneficial. Anything that is used in excess, even essential nutrients, will create an imbalance. Therefore, the improper use of substances or products will inevitably raise the risks for dietary supplement side effects since toxicity is dependent on dose (and time), independent from its source. You should be aware that makers of dietary supplements cannot legally say that dietary supplements can diagnose, cure, treat, or prevent disease. But they can say that they contribute to health maintenance and well-being. The worst offenders of supplement contamination cases are found among weight loss and sexual enhancement products, as well as sports performance and body building supplements. These are also the most sold products on the internet today, and often marketed with much gusto, doubtful testimonials and charismatic good-looking wo/men in white coats. Do you buy these? Natural, non-processed foods give you the full array of what you need. You ought to discuss your routine self-prescribed supplements with your Doctor, as you may be overdoing it or adding more than what you need. Dietary supplements are vitamins, minerals, herbs or other plants, amino acids (the individual building blocks of protein), or parts of these substances. They can be in pill, capsule, tablet, or liquid form. They supplement (add to) the diet and should not be considered a substitute for food. Popular supplements include vitamins D and E; minerals like calcium and iron; herbs such as echinacea and garlic; and specialty products like glucosamine, probiotics, and fish oils. If you are a self prescribing supplement taker you might think that you are increasing your overall health levels. But – you may in fact be interfering with the body’s natural ability to balance its systems. Your body is a finely tuned mechanical system, that normally functions best with natural food and liquids – and any additions can have unwanted side effects. There are natural botanicals that have been used for thousands of years that can be used in its natural form, as well as herbal teas and powdered remedies. Herbal supplements are different from vitamin and mineral supplements in that they are considered to have medicinal value. Many civilisations still rely on herbs for healing. In fact, the World Health Organisation has estimated that 80% of the world’s population continues to use traditional therapies, a major part of which are derived from plants. However, just because they come from Mother Nature, does not mean you should take them without consulting a doctor, and especially so if you are already on prescribed drugs. There is extensive scientific research to suggest that some of the most common dietary supplements may not be as beneficial to you as you might think — especially if you take them in combination with prescribed drugs, fortified foods or while pregnant. When are expecting, nursing or planning to get pregnant you must consult with a Doctor before taking any supplements. You do need the full range of nutrients to feel in balance. Rather than self medicating, have a health check-up and consult with your Doctor. There are options to a full range multivitamin / mineral cocktail. Isolate what you may be lacking and try first to eat natural foods that are rich in that particular vitamin or mineral. The market for supplements is huge, and attracts many healthy people such as athletes, fitness enthusiasts, and wellness devotees. Caution can sometimes go out the window when we read about ‘wonder pills’ that increase performance, boost moods, enhance fitness and energy. In our wish to be even healthier we fall pray for doubtful marketing tricks. Let’s look at which supplements we need to be a bit careful with. Enhancement supplements for energy, sexual drive and mood boosters are equally in high demand. The review of this range of supplements reveal that energy pills can disturb sleep, metabolism and drive up the heart rate and pills to up your libido may have unwanted side effects whereas mood boosters may in fact increase depression if taken without medical supervision. Supplements: When To Take Them? If you are on an aid mission, or work in a remote area, with little access to the full range of health foods, nor choice where to eat (canteen food) you may need to rely on a multivitamin / mineral in tablet form once a day. You can also consider probiotics. Consult a pharmacist, or Doctor and buy a well-known / researched brand. Do not take it for extensive stays, as you can also buy health foods and carry with you. When you are in travel mode, or work on shifts taking a natural melatonin can help. Buy them from a well stocked pharmacy, or health store. For those times when you get overrun by stress, or feel fatigued, taking Siberian ginseng, ginkgo or liquorice root has an effect. You need to buy these from a well stocked health store, and they need to be natural. People have used the active ingredients in dietary supplements for thousands of years to help health and to treat illness. Sometimes those supplements are the basis for some of today’s common medicines. For example, people have used willow bark tea for centuries to relieve fever. Pharmaceutical companies eventually identified the chemical in willow bark that relieved fever and used that knowledge to produce aspirin. One of the biggest problems with dietary supplements and risks are not the actual, active ingredients themselves. Those natural health products that cause the most side effects of dietary supplements are oftentimes contaminated, manufactured incorrectly, or are taken either irresponsibly or improperly. Contaminated products, conceivably one of the greatest supplement risks (especially over time),can be easily avoided by taking high-quality, science-based, pure vitamins and supplements. 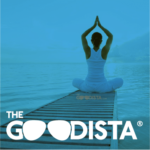 The GOODista would argue that regularly taking supplements can be replaced by a healthy, active lifestyle. Micronutrient cooking and eating clean is your best way to get your full array of nutrients. For those peak times when you do need a boost taking supplements can indeed be a good idea, but being careful to buy the best high-quality ones is the responsible way to go. Keep reading The GOODista for inspiration about lifestyle changes you can do every day and working (far) away to Feel, Be and Do Good. Get the updates, newsletter and special offers in your in-box by signing up here below. Thank you for writing about this complex subject in such an inspirational manner. What a well researched post, congratulations! You certainly help us navigate the so-called health market and the industry based on imagined needs of supplements! A well balanced daily food intake does it all, if I understand you right! Bravissima!